The U.S. spa industry is, for lack of a better word, doing awesome. We made $16 billion dollars in 2015, largely due to more spa visits and more money coming in per spa visit. Naturally, every U.S. spa wants to get in on that growth, but to do so, you’ve got to evaluate your menu to have a healthy mix of the standard spa treatment and the new and innovative. So, what is trending now or on the verge of explosion for 2017? We’ve compiled a list of the top 10 trends that we think will be big in 2017. We know that our audience operates and works in spas big and small; therefore, we’ve chosen trends that every spa can adopt, no matter the size. The first two trends I am talking about are intertwined. In 2017, we live on our phones. Matter of fact, we can’t even call them phones anymore, because they have become so much more. We no longer just operate our e-mail from these hand-held computers, but we also check news, listen to music, follow schedules, create dream boards, play games, interact on social media and manage photography. Have you ever had a moment of panic when you couldn’t find your phone? You are not alone. The thing is, we know our smartphones are bad for us, but we just can’t help ourselves. The spa industry has stepped in to help by creating treatments that not only help us detach from our smartphones, but help alleviate the pain caused by them. For example, the Springs Eternal Spa at the Omni Bedford Springs Resort in Bedford, Pa., created a massage upgrade for sore, aching hands that is comprised of a salt exfoliation followed by a hand and wrist massage with body butter and oil application with warm towels. The Spa at Mandarin Oriental Las Vegas held a Digital Detox Weekend Retreat in September 2016, where smartphones are either forbidden or restricted. The weekend began with a personal consultation with a spa therapist to understand the guest’s current habits with their mobile devices. Each guest was able to select a complete digital detox regimen or partial digital detox, which entailed either no access or supervised access to their smartphones, respectively. We all know that a major component of better skin, and better health for that matter, is sleep. Current habits, such as multitasking overload, technology use and alcohol/caffeine consumption inhibit quality sleep. The primary reason that people often visit a spa is stress reduction, which promotes better sleep. However, spas have created sleep-inducing treatments and even menus, and manufacturers have launched products catering to this need. For example, the Woodhouse Day Spa offers a sleep treatment menu, with offerings such as a Deep Sleep Massage and the Shirodhara, an oil treatment and scalp/neck massage to calm mental stress and encourage emotional well-being. The Chuan Spa at the Langham, Chicago uses magnesium to help promote sleep in its Magnesium Massage. According to the spa, magnesium is responsible for promoting healthy energy levels, sleep, muscle function and overall well-being. Along similar lines, [comfort zone] recently launched its Tranquility Line of relaxing body products, and with it, a Pro-Sleep Protocol. The massage protocol acts on three different sensorial pathways: olfactive, tactile and hearing, for profound relaxation. There is nothing better on a cold (or stressful day) than a hot stone massage. 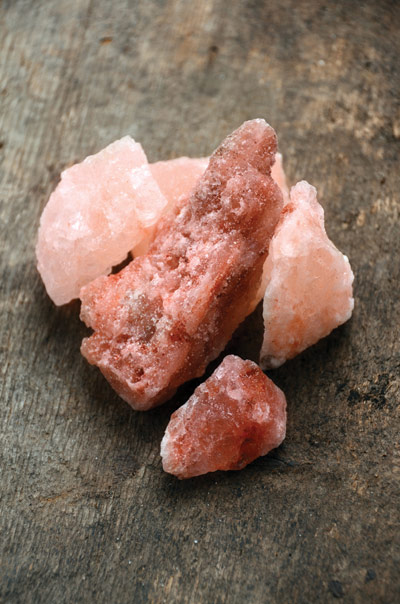 Although basalt stones in traditional hot stone massage work perfectly fine under the right safety conditions, many spas across the country have swapped their basalt out for Himalayan salt, which offers a host of benefits not only to the client, but also to the massage therapist. Himalayan salt is not only shown to soothe muscle tension and nervous disorders, but it is also found to reduce inflammation and absorb pollutants from the skin. Although these stones should be disinfected, they are inherently antimicrobial. Ann Brown, spa director of Spa Shiki at the Lodge of Four Seasons in Lake Ozark, Mo., launched Saltability with these benefits in mind and offered the salty swap to spas across the U.S. One such spa is Ska:ná The Spa at Turning Stone Resort Casino in Verona, N.Y., which brought Saltability’s Himalayan salt stones into its treatment menu and created the Himalayan Salt Stone Massage. mesmerized the beauty industry since the first BB cream was launched. Since that time, we have seen the introduction of cushion compacts, sheet masks, treatment waters, sleeping packs and more recently carbonated masks. Korea has seemingly limitless creativity when it comes to beauty, and the spa industry has adopted some of these innovative products. We are seeing more and more sheet masks enter the spa market, as an innovative and mess-free way to deliver skin care benefits. They also offer spas a great opportunity for an add-on service. 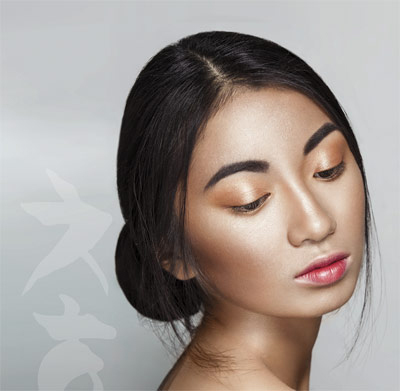 PureErb Skin Care has incorporated Korean face-lifting techniques into its meridian facial massage protocol, which promotes circulation and provides lymphatic drainage for a more radiant, toned complexion as well as lifted facial contours. Shangpree, a well-known luxury spa with many locations in Korea, offers such a countouring treatment, called the Facial Contouring Treatment. The spa also carries its own line of products, which range from Charcoal Hydrogel Mask to S-Energy Facial Mousse Cleanser. Spa consultant Noreen Young in recognition of this trend, created a subscription box for spa professionals only called the Lucky Cookie Box that offers a taste of K-beauty and Asian beauty products. In its most recent Consumer Shapshot (Volume VII), The International Spa Association (ISPA) published an accumulation of research it found on the soon-to-be largest demographic of spa-goers—millennials. Many spas around the country are researching or revising their menu to cater more toward this demographic, but how do you find out what they want? Here’s what we know: Millennials are employed, educated and stressed out—potentially from a mountain of student loan debt. They visit spas primarily to relieve or reduce stress. Millennials care about their planet; and they appreciate efforts of sustainability and are more likely than other generations to choose natural and organic skin care. They also are seeking customization, so offering a “customized facial” on your menu can help bring in more of this demographic. Finally, men make up a significant portion of the millennial spa-goer, so offering male-focused treatments is a must. Just when you thought you had clearly explained to all of your clients how important sunscreen is, there is a new environmental aggressor—pollution. According to an article by Katerina Steventon, Ph.D., in the June 2016 issue of Skin Inc.,1 it has been predicted that pollution protection will impact skin care as much as UV awareness. 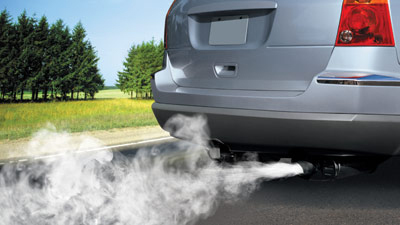 This protection helps guard against and counteract the damage caused by exhaust fumes, industrial smoke, tobacco, air conditioning and ozone. These pollutants generate oxidative stress and thus protein and DNA damage, and lipid peroxidation. The results is dull, weakened, dehydrated and prematurely aged or sensitized skin. So, how do you help guard clients (and yourself) against pollution? Consider products with antioxidant, anti-inflammatory and barrier repair actions. A few identified by Steventon include: artichoke, moringa, succory dock-cress and white tea, as well as some complexes specifically combined to protect skin from pollution. Bioelements used copper-rich malachite in its recently launched Remineralist Daily Moisture to inhibit the superoxide anion (a highly reactive and highly unstable molecule induced by pollution) within the cell. Nik and Irena James established skin care brand CelleClé to fight the effect of urbanization (pollution, extreme climate and cell phones) by harmonizing skin’s coexistance with its environment. No doubt, more products geared toward pollution protection will be in our future. Light and its benefits to skin is not new, but since consumers have become able to DIY their light treatments at home, this category of devices has seen a reinvention—and the results are impressive. Lightwave developed Topical Light Infusion (TLi), which combines the effectiveness of LED therapy and functional topical formulations into one treatment program. The fusion of LED and topicals offers a novel method to infuse both light (photon) energy and topicals deep into the tissue to increase the effectiveness of both the LED and topical and induce a change for healthier tissue. 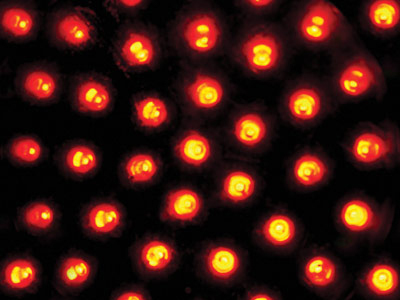 LightStim invented an LED Bed in 2016, which is composed of 18,240 LEDs to rejuvenate, repair and energize every cell in the body. The LED Bed helps reduce inflammation, increase blood circulation and diminish bruising. Baths have been around since Cleopatra, but they are surging in popularity in new, innovative and sometimes odd ways. As an additional bonus, they can save you water to help promote your sustainability. Many spas are promoting the detox bath, which includes such ingredients as apple cider vinegar, eucalyptus, peppermint, salt, seaweed, charcoal or ginger. Each ingredient has its own benefits. For example, charcoal absorbs oil and salt reduces inflammation. Sundara Inn & Spa in Wisconsin Dells, Wis., offers a Seaweed Leaf Wrap and Bath Soak to detoxify the body, reduce the signs of cellulite and increase circulation or a Coffee Bean Cellulite Bath Treatment to slim, reduce signs of cellulite and increase circulation. The Spa at the Hotel Hershey in Hershey, Pa., offers Sea Salt Soak, where seaweed and salt help detoxify and remineralize. Early in 2016, the U.S. saw its first beer spa, Hop In The Spa, where the Microbrew Soak allows you to relax in hops, barley and minerals. Beer baths are are said to help with insomnia, anxiety, stress and help calm the nervous system. to see, oftentimes right after their appointment with you. They don’t want to show up at a child’s soccer game or a work meeting “naked,” which has given rise to more spas adding a complimentary color-matching service (and sometimes a full makeup bar) to prep them for the rest of their day. To reflect this, more skin care manufacturers are launching color products with skin benefits to help finish the service. This past year, Lira Clinical came out with a BB Cream in seven shades that not only provides clients with a flush of color, but it also has post-treatment anti-inflammatories, treatment-extending anti-agers and sun protection. 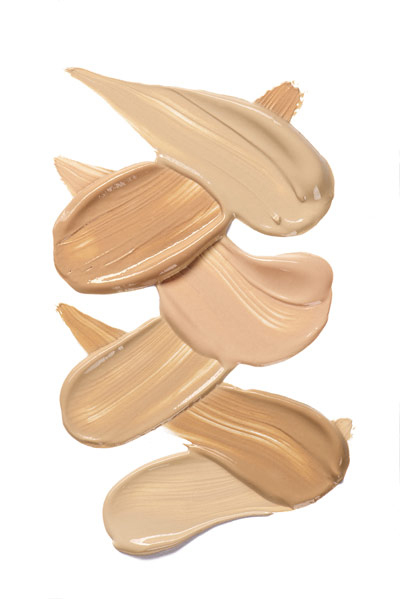 In 2016, Rhonda Allison also launched IllumiColour Revise, a porcelain base adjuster to lighten any of the five shades of Natural Mineral Crème or Mineral Powder to customize a client’s foundation. Lashes and brows are all the rage, and the trend has gone far beyond waxing, shaping and extension services to give rise to growth serums, tinting and pigmented filler products. If you don’t offer lash and brow retail products, it is probably time to consider adding them. 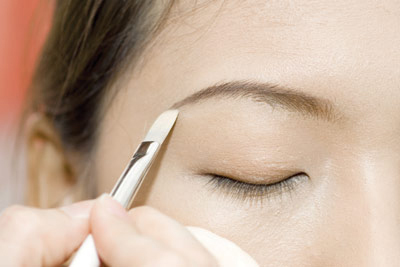 Lash and brow services and products can be a big money maker for spas, so much so that lash and brow-only beauty businesses are popping up all over the country. In October 2016, sisters Josie and Stephanie Nguyen teamed up to open DC Lash Bar in Washington, D.C. The two-story location has a brow bar, lounge, beverage area and outdoor patio on its first level, with treatment rooms for lash services on its second level. There is a lot of innovation and excitement happening in the spa industry, but also a reinvention of some old practices. Not every trend is for every spa, and it is important to choose treatments and products that align with your brand message. While researching a trend, make sure to investigate the financial costs and potential gains, and don’t forget to ask current clients if there is any service they would like to see. As always, Skin Inc. is here for its readers with a host of research content, and we wish all spas a happy and profitable 2017.